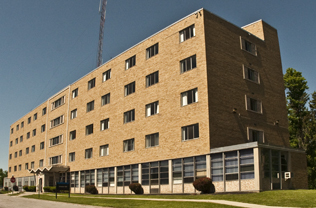 Canavan Hall, housing approximately 260 students is primarily used as first-year and new student housing. Canavan is a five-story suite-style residence hall. Two bedrooms share a bathroom; lounges and laundry facilities are on each floor. 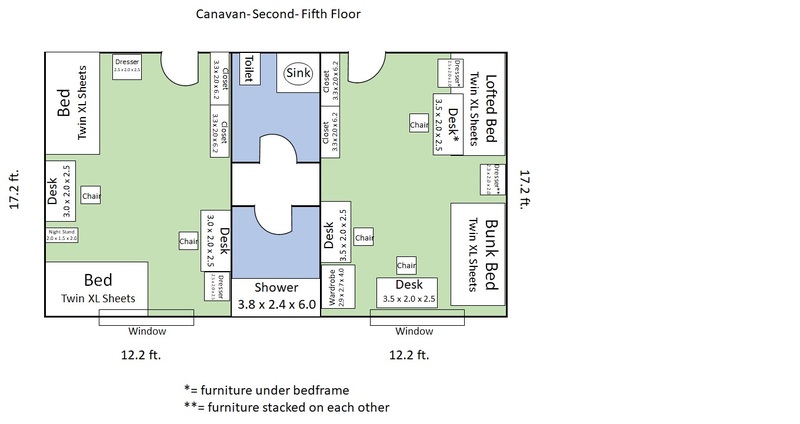 Rooms are either doubled or tripled, and feature two single gender floors and three floors which are co-ed living by suite.